Have you watched their TED-talk from 2 years ago? Well by now Windowfarm advanced even further. The idea is simple: Why go out and by food (especially when it is cold outside), if you can grow it yourself in your apartment? 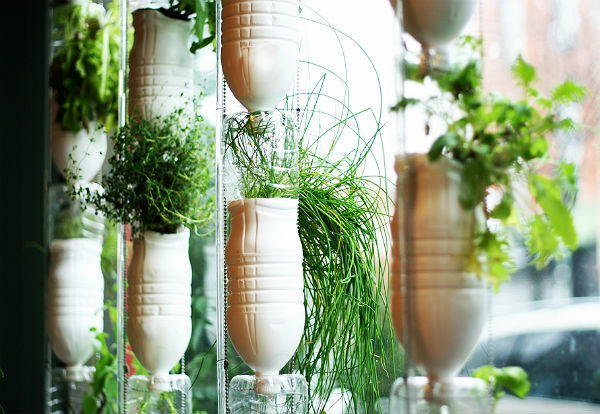 After all growing plants at home is also an awesome decoration solution… Windowfarms gives you the solution. Nowadays, there are so advanced that you can chose between products ranging from, for example, “whole body mix” (very nutritious) to “color palette mix” (really a good decoration option). Besides looking good, it is of course always also a good trigger to focus on home-cooking a bit more.